"Ever wanted to swap house and live like the other half do (as in the film The Holiday)? New home exchange website Love Home Swap is offering just that for budget conscious families both in Australia and overseas." 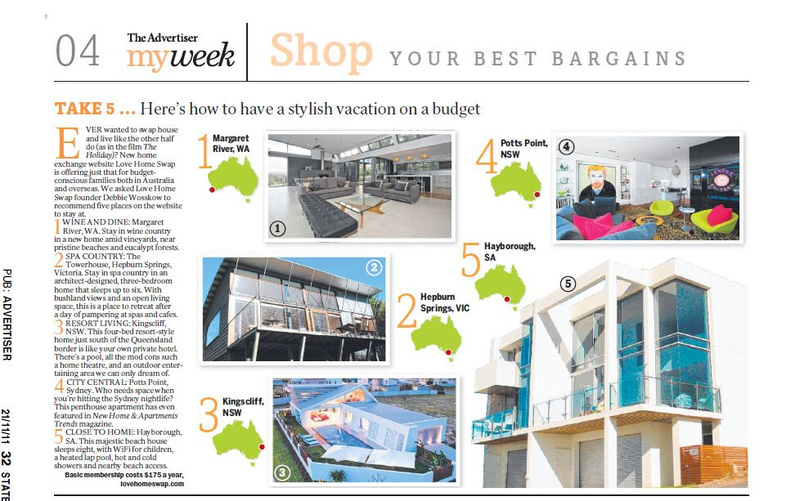 Our very own Debbie Wosskow talks to The Adelaide Advertiser and recommends 5 places on the website to stay at in Australia.